The best of the Yakima Valley! This five bottle bundle is the best way to not only sample our first EVER releases, it is also the perfect way to sample the best grapes in the Yakima Valley, all at a discount! Not just a summer wine - perfect for winter soups and comfort food! With cold-extended fermentation and stainless steel aging, this rosé is bright and zesty - perfect for pairing with curry, tacos and Thai food. 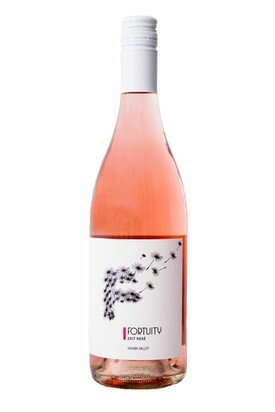 The color is the perfect shade of light pink and boasts strawberry and cherry flavors. Marcela vineyard, Yakima Valley AVA. Pairs perfectly with Thai or Mexican food! Fermented and aged in stainless-steel, this acid-forward wine is crisp and aromatic, accentuated by notes of guava, pineapple, and pear. 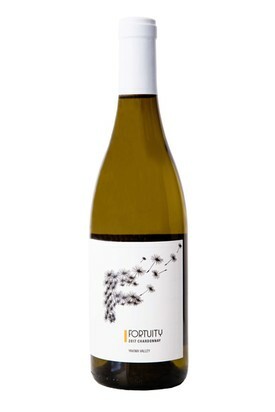 With 30 percent new French oak, this wine is smooth across the palate and transitions to a clean finish. Expect notes of fresh apricot, pear, butter, and toasted hazelnut. Copeland Vineyard, Yakima Valley AVA. The perfect food pairing red wine! From Washington’s premier AVA, this wine was aged in French oak—50 percent new and 50 percent neutral. With approachable, extended tannins and balanced acidity, this is the perfect food-pairing red wine. 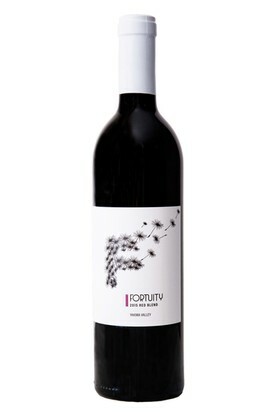 Its ruby red color complements notes of blueberry, huckleberry and licorice. Heart of the Hill Vineyard, Red Mountain AVA. This full-bodied blend is dark garnet in color and driven by bold and lasting tannins. 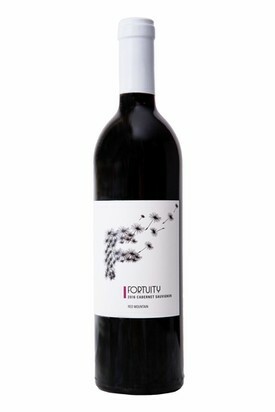 Exuding raspberry, spice, and earthy undertones, this wine is the choice for fans of bigger reds. The blend is 50 percent Malbec and 50 percent Syrah. Two Coyotes Vineyard (Malbec) and Teft Vineyard (Syrah). Yakima Valley AVA. 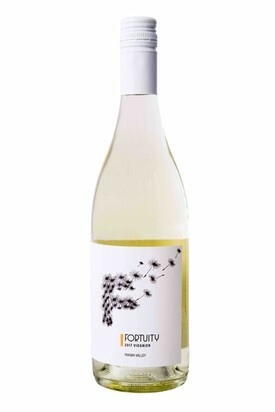 Fortuity Cellars is family-owned by Lee and Emily Fergestrom and co-run with long-time friend and winemaker, Johnny Brose. Located in the Yakima Valley (Wash.) and established in 2017, we are a boutique winery focused on Rhone, Burgundy and Bordeaux varietals. We work closely with growers to select grapes that showcase the best of the Yakima Valley. You’ll find our wines to be acid-driven and fruit-forward – perfect for pairing with food! 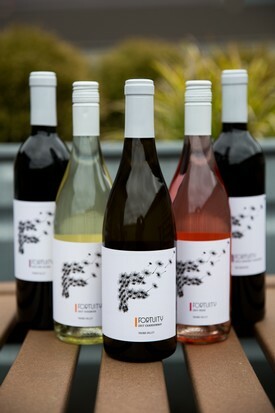 There is always something fun happening at Fortuity Cellars and we want you to know all about it! Share your email below and we'll periodically send out a newsletter (no spam - we promise!) with info on upcoming events and tastings, wine club updates, wine releases and more.